Search engine optimization incorporates various advertising methods from traditional marketing to advanced and often complex algorithms. While traditional optimization is important, to maximize website rankings and results, SEO voice search marketing has become a necessity. Conventional use of technology is targeted at mobile and desktop, but owing to its practicality and convenience, voice searches assist many people in pursuit of their online requirements. Learn how to utilize SEO voice search for your online promotion campaign. Voice searches are different from traditional SEO because it uses your voice to search for information online. The introduction of chatbots and voice applications mean more people are talking to their devices and using voice assistants to produce a desired outcome. Incorporating voice search in your SEO campaign ensures your business will be generated in the online rankings when people are looking for related details in this manner. The move towards voice search means the integration of different keywords that mark questions one would ask when performing a general search. Incorporating specific terms and techniques helps your business incorporate voice search into its optimization plan. 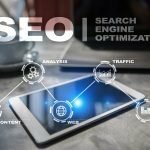 With the integration of effective SEO voice search marketing techniques, you can rest assured your business will certainly not be left in the lurch. The shift towards such convenient and advanced technology encourages more companies to modify their optimizations strategies to improve ranking across online functions. The rise in the popularity of voice search technology means an increased need for businesses to get with the times and make this application a part of its marketing initiatives. Start now and heighten your competitive edge to ensure your online ranking is improved. To maximize your SEO results, call on your experts in optimization. With the right team on your side, there is certainly no match for efficient, effective and competitive voice search SEO.